In the latest in a recent series of articles on Thomas Hoepker’s September 11th image, Joerg Colberg of Conscientious published a well-written piece entitled “How we give photographs meaning.” In the post he opens up several threads of potential conversation: the importance of including context when reading an image, all photographs as fictions with no inherent meaning, the ethics of photojournalism, meanings as constructs, etc. Given I agree with Colberg’s main points (and to dwell on the few second-tier points I have questions about seems nitpicky), I’m going to build on the conversation his piece continues by pulling out one particular thread of his post. This will also be a way to slow the conversation down and explore in depth one of those potential conversations his essay opens. This quote raises a slippery question: how do we know what background we are operating against? Just where are those lines between fine art photography, photojournalism, and documentary photography? 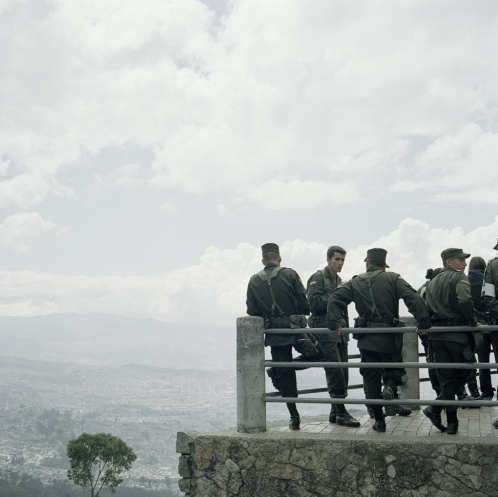 It’s not immediately clear how we should approach establishing those lines in a photographic world in which someone like Alec Soth, to choose an example, can call himself a documentary photographer while simultaneously being a member of the premier photojournalism agency in the world and having a retrospective at a major contemporary art museum. Is it a question of where we see the photograph? If the same image is in both a gallery and a newspaper, should we say we’re operating against an art background in one situation and against a photojournalistic one in the other? Or is it a question of subject matter so that a picture made to describe a war, for example, is inherently photojournalism? 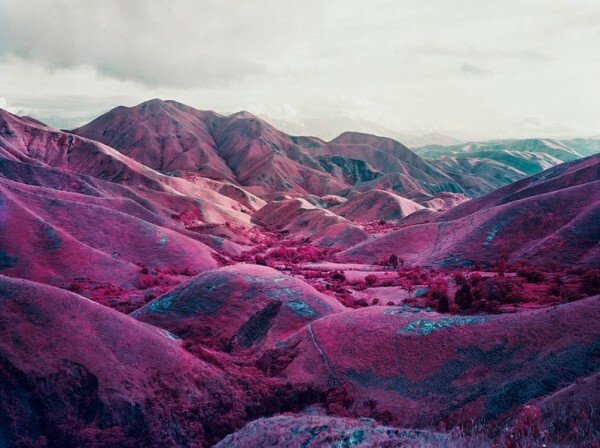 But then what to make of Richard Mosse’s Infra? Is a photograph what the photographer says it is? Joel-Peter Witkin surely couldn’t claim his work is documentary. Then is it the observer that decides? What if you and I differ in opinion - who’s right? To make things more complicated, the question is also a temporal one – the lines between genres are alive, constantly moving and shifting to reflect cultural changes, historical events, prevailing intellectual winds, and the photographic marketplace. To look at these questions, I’m going to dust off and cannibalize a paper for this post that I wrote a few years ago that explores the history of the relationship between these three genres. More historical than polemical, it examines how the 1970s in particular played an important role in forming the contemporary photographic landscape of more elastic definitions that we live in today. This post will be divided into at least two due to length. Today will give the background for what happens in the '70s which will be the subject of the second (and any subsequent) posts. A number of factors combined during the 1970s to accelerate the movement between the photographic genres of documentary work, photojournalism, and fine art photography that have opened into today’s era of more fluid relationships. 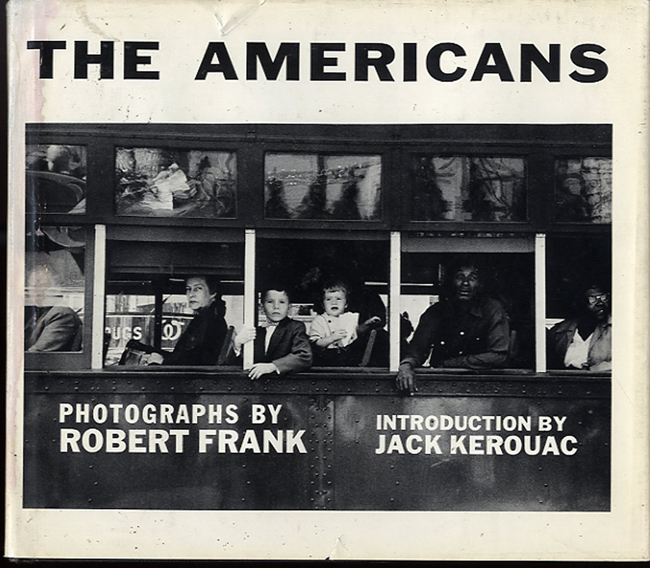 During this decade the rise of television and the concurrent decline in the magazine industry, the rise of galleries dedicated to showing fine art photography, the museum’s firm establishment of the photographic print as a unique and collectable object and the resulting development of the market for photographic prints, the development of artist's books, the evolution of an economic infrastructure that helped sustain photographers as artists, and the questioning of the ability of photography to document or record events factually all contributed to the rise of the new era. Dorothea Lange and other documentary photographers of the Farm Security Administration made their way into art exhibitions and Walker Evans exhibited at the Museum of Modern Art in 1938. 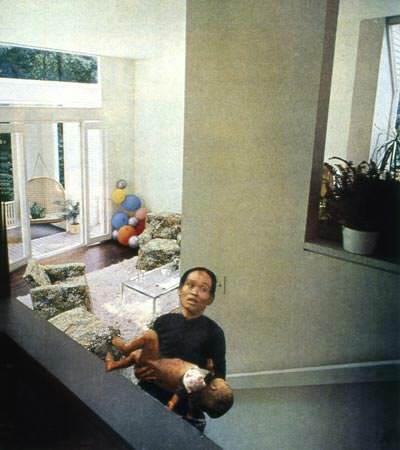 Evans defined his work as art despite often being considered a prototypical documentarian by asserting that his work does not have a utilitarian use such as a police crime scene photograph. 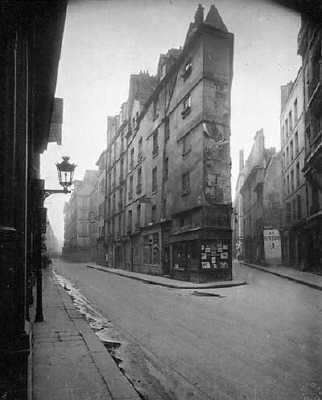 He also noted the artifice involved in “documentary work.” FSA photographers used stylistic elements such as sharp focus, even lighting, and a frontal composition to code their images as factual and to indicate that they should be read as unbiased. “Documentary?” famously questioned Evans. “That’s a very sophisticated and misleading word. And not really clear. . .The term should be documentary style.” (Blake Stimson, The Pivot of the World: Photography and Its Nation, 210) Evans, in short, was aware of the common urge to view documentary images as mimetic, but was cognizant of the bias of the photographer’s perspective. The Magnum photography agency in 1947 challenged the notion of what constituted photojournalism. Founded as a photographic cooperative, members of Magnum retain the rights to their photographs as well as the authority to conceive and execute their own projects. Although their work still needs to find a market, by removing the responsibility to answer to assignments designed by newspaper and magazine editors, the freelance photojournalists of Magnum defined the term "photojournalism" for themselves, broadening the scope of the genre to include longer projects done in essay form, which becomes close to indistinguishable from the type of work done by Jacob Riis and Lewis Hine. In turn, Riis and particularly Hine can be listed as either documentarians or photojournalists depending on the article or book. From the 1950s to the 1970s, work that allowed more space for the personal and contingent in photojournalism became accepted and known as "new journalism." (Mary Panzer, Things as They Are, 27) Although more commonly associated with print journalism, the term “new journalism” became connected to photographers who injected a personal, first-person perspective into their reporting. The Vietnam War, for example, became the center of a perceived link between photojournalism and personal politics as photographers such as Phillip Jones Griffiths abandoned their supposed objectivity and took a stance in opposition of the war. We can see that the terms “photojournalism” and “documentary photography” showed significant flexibility before the 1970s. “Photojournalism” went from encompassing the construction of events by the photographer - such as Alexander Gardner's openly rearranged Civil War battle scenes - to considering itself as objective reportage, including politics as part of its stance, and accepting first-person perspective in the form of "new journalism." “Documentary photography” went from being considered the recording of actual documents to being a passionate crusading appeal intended to provoke its audience to action with the work of Riis and Hine, a passive and objective lens with the FSA, an attempt to present psychological reality, sociological assessment, the recording of other art forms for documentation such as earthworks, and even the physical collage of images.